It’s no longer a fad for teenagers. Social media can be a cost-effective way to amplify your traditional marketing efforts. Many of us are beginning to capitalize on these tools and services to go after new customers, and create deeper intimacy with current ones. But what about the channel? Social media can have a significant impact on your channel marketing and communication efforts. 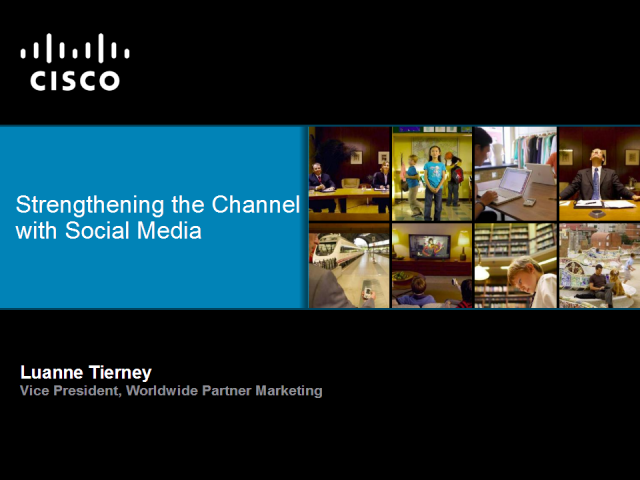 Learn Cisco’s secrets on how it’s strengthening its own channel with social media, and perhaps more importantly, how it’s leading the way by teaching its own partner community how to harness the power of social media.